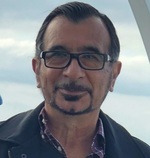 Francisco Rivera Avila, age 65 of Antioch, went home to be with the Lord on Saturday, March 9, 2019. Francisco was born in Bayamon, Puerto Rico on June 20, 1953, son of Francisco Rivera & Luz Maria Avila. He was preceded in death by his father, Francisco Rivera; grandson, Ezio Juan “E.J.” Rivera. Survivors include his loving wife of 44 years, Justina Rivera; son, Franky (Nicole) Rivera; daughters, Frances (Joshua) Rosales & Bettmary Rivera; brother, Carlos Ruben (Emily) Rivera; grandchildren, Khloe Rivera & one on the way; step-grandchildren, Lilly, Alexis & Gabriel Rosales; nieces, Karla Marielle, Alex & Gabby along with other family loved ones, relatives & nephews; 2 fur babies, Chico & Rocco. The family will receive friends from 5:00 PM – 8:00 PM on Tuesday, March 12, 2019 at Christ Lutheran Church, 299 Haywood Ln, Nashville, TN 37211. A funeral service will be held at 11:00 AM on Wednesday, March 13, 2019 at Christ Lutheran Church. Visitation one hour prior to service. Expressions of sympathy may take the form of donations to Francisco Rivera GOFUNDME account, in loving memory of Francisco Rivera.